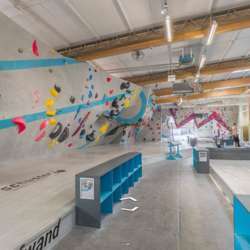 Join us for another fun bouldering session on Wednesday. Bouldering is a form of climbing with no rope and harness. You just need shoes and a bag of chalk. You climb over safety mats and your challenge is to climb short but tricky bouldering "problems" (sequence of moves) using balance, technique, strength and your brain. It is really accessible to beginners. I am not an instructor but I will explain beginners how to start by showing some basic moves and techniques. PS : I am not a climbing instructor and you attend this activity at your own risk.